Ema Ryan Yamazaki, a 27-year-old graduate of New York University’s film school, is working on a documentary about H.A. Rey and Margret Rey, the husband-and-wife team behind the multimillion-selling Curious George children's books. Yamazaki plans a 75-minute documentary, which has the working title, “Monkey Business: The Adventures of George’s Curious Creators,” and will include original animation of the Reys themselves, and has begun a Kickstarter campaign to help with funding. In the video below, Yamazaki tells the story of how she got involved with the project, and the story of the Reys' escape. Very interesting. 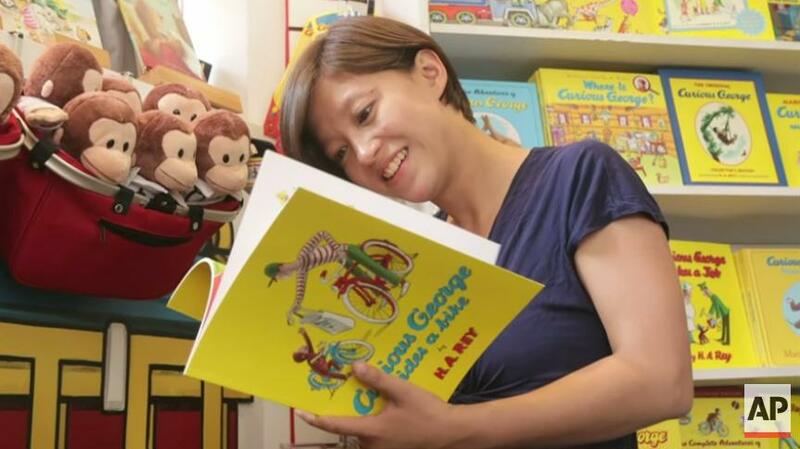 I enjoyed Curious George as a child and sharing it with my children. We even read it in Hebrew, here in Israel. I was fortunate to be at the Holocaust Museum in Houston 2 years ago when there was a special exhibition of the story of Curious George and the Reys couple. So interesting. My children and grand kids grew up with Curious George .